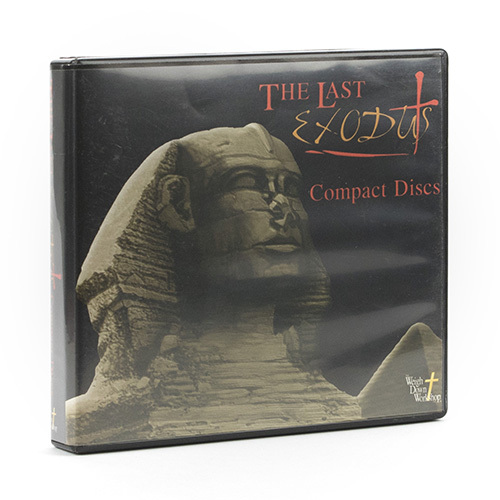 The Last Exodus Audiolessons reinforce the Videolessons available on WeighDown ALL ACCESS. Available in an 8 CD Set or as an 8 lesson Audio MP3 Download. A NOTE ABOUT THE LAST EXODUS CLASS: This class is geared towards teenagers and young adults - and is positively affecting all ages! If you have ever felt yourself entrapped or addicted to anything in this world, such as food, disrespectful attitude, cigarettes/alcohol, TV/videogames, lust, money or anything else, and couldn't break free, this is the program for you! Come experience God's deliverance from anything that has enslaved you. You will hear from teens and young adults who have exchanged a passion for things that robbed them of looks, time and money with a focus and love for God. Only God can set you free forever. You will never be the same! The Last Exodus is truly a breakthrough for this generation! To get the full class, you can sign up for Weigh Down All Access or purchase the at home DVD Study.